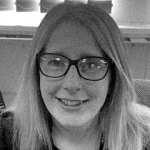 Guest blogpost written by Tracey Bowman, Access to Resources Manager at Norfolk County Council. Along with four other local authorities, Norfolk County Council is using Valuing Care to improve the lives of children and young people, and increase the value provided by placements and support. The Valuing Care approach helps us to better capture and understand the needs of our children and young people, and work with providers and teams of professionals to reduce those needs and make the most of their strengths. Oxfordshire have been using Valuing Care to identify children in residential care whose quality of life would be improved by a move to a foster family. They have used Valuing Care ‘needs profiles’ as the basis for interactive matching events with providers, carers and key workers. It’s early days, but by working closely with the young people concerned, so far they’ve helped six children move into foster families. This sets a great example. All of the commissioners at the meeting are committed to using Valuing Care to help more children find a family home where that is in their best interest. Hertfordshire have now assessed and reviewed most of their looked-after children through the Valuing Care approach. They have developed a Valuing Care ‘dashboard’ in their care management system which gives them close to real-time insight into children’s needs by level and complexity of need, age, gender, placement type and other characteristics. For each child, they can see how needs are changing over time. Our group of commissioners are now all aiming to develop something similar, to ensure that all our strategic decisions are anchored in the real needs of our children. In Norfolk we began implementing Valuing Care in December 2018. We have already been able to use the approach to better understand the needs of unaccompanied asylum-seeking children, and to develop and commission tailored support for this cohort of young people. We are also using Valuing Care to develop an enhanced fostering model. Alongside this, we have started a trial which uses a Valuing Care approach to profile the experience, knowledge and skills of foster carers – to help us achieve better recruitment, development and matching of foster carers to children. Other commissioners in the programme are interested in taking forward and shaping this work. Central Bedfordshire are in the process of implementing Valuing Care. They are planning to use it to reframe commissioning approaches and tender specifications for different types of placement and support for looked after children. They want to use the approach to target improvements in outcomes through the commissioning process and to underpin their sufficiency strategy. Norfolk will be seeking help from Central Bedfordshire and the wider Valuing Care group to help us reframe tenders and specifications around Valuing Care. It feels like we are already achieving some real impact for children and young people through Valuing Care, and are on the cusp of doing much more. I’m looking forward to sharing more updates following the next event in June.